Marketing Your Business Online - What is Inbound Marketing? Marketing has seen profound changes in the past couple of decades. The past practices of newspaper advertisements along with TV and radio commercials are slowly waning. Today, in the Internet-dominated marketplace, inbound marketing for business is rapidly becoming one of the most effective forms of marketing. Inbound marketing focuses on getting a company found by potential customers. Another name for this activity is attraction marketing. The idea is to attract visitors to your website to view your company and its products and services. To do this, marketing experts use a number of techniques including quality content, search engine optimization, social media, and free incentives. Customers interested in what the company offers will go visit the site. Those with no interest will pass it up. Contrasting inbound marketing for business with the traditional marketing model makes it easier to understand. Traditional marketing, also known as outbound marketing, uses techniques to hunt down customers by interrupting people with mass email, television ads, print media, and other in-your-face methods. Not surprisingly, another name for this marketing is interruption marketing. The idea is to get the company name out in the public eye and in front of as many consumers as possible, even if they have zero interest in the company or its products and services. Why choose inbound marketing over the more traditional outbound model? Inbound marketing is less expensive to do than the outbound variety. It is more customer friendly and tends to retain customers instead of pushing them away. The focus is on customers already interested in the company and its products and services. It involves an initial investment that gives both short-term and long-term results. The idea with inbound marketing for business is to attract customers at the local level. That means integrating content that combines local content with the company's services and products. For example, a plumber in Denver, Colorado, would have content combining the city and the services. Adding quality content is a primary technique of inbound marketing for business. For the Denver plumber, the content would focus on plumbing services the company offers. Standard content would include landing pages for different communities in the Denver area. Examples would be the cities of Centennial, Aurora, and Golden. Blogs are a great way to add current content on top of standard website content. The Denver plumber could blog about how to prepare plumbing for the cold Colorado winters or basic maintenance a homeowner can do to winterize their pipes. This information helps keep the search engine interested in the website and it also helps elevate it in the search engine results. Social media gives customers the chance to hook into your website. A company can use the channels to offer tips, ideas, and specials to its followers. The Denver plumber can offer incentives such as a percentage off services for loyal customers. 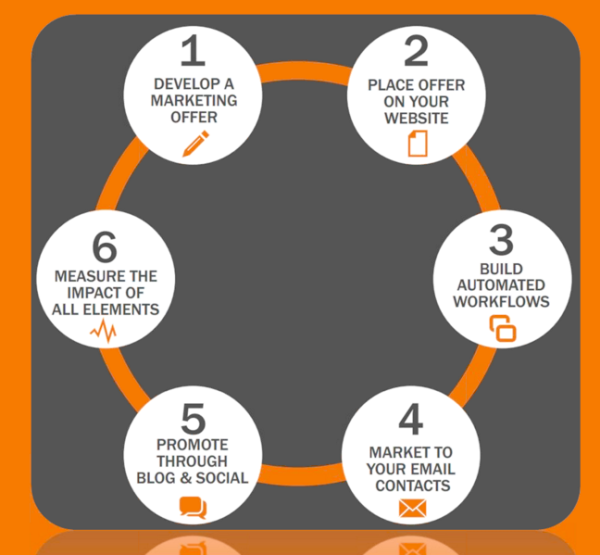 Inbound marketing for business is a powerful tactic to help generate business growth. A company can capture local customers, attract new ones and keep all of those customers coming back for more.